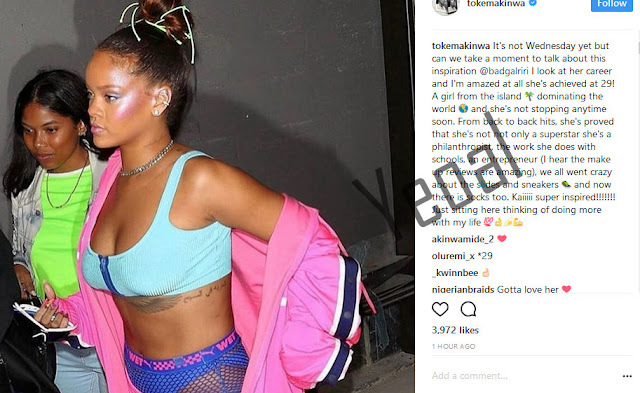 The OAP and fashionista took to social media to shower praise on Rihanna for being an inspiration and being successful in all her endervours. A follower used it as an opportunity to slam Toke. 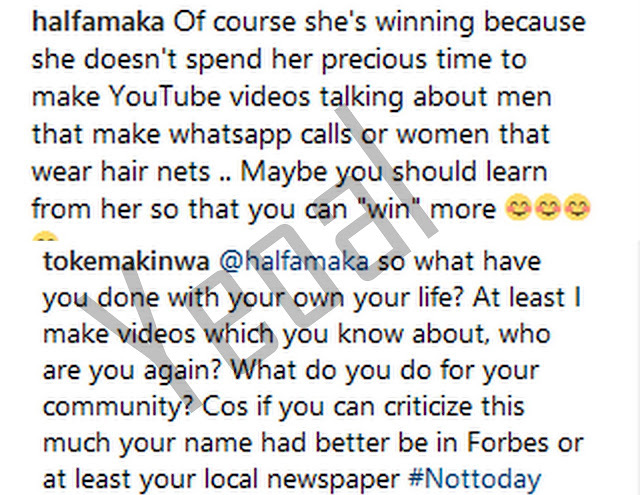 Unfortunately, Toke is not 'chilled Toke' today and she wasn't having it. She dragged the follower in turn and let's say she had no chill while at it. Read what she said after the jump.